It’s always interesting to me how when I write about or refer to Australian cars on Barn Finds the number of our American readers who rue the fact that certain models of our Australian cars were never sold in the USA. Admittedly we did give you a version of the Pontiac GTO and the Chevrolet SS, both of which we’re proud. 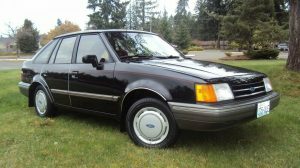 We also gave you the horrible little front-wheel drive Mercury Capri of the early 1990s for which I will continue to apologize! 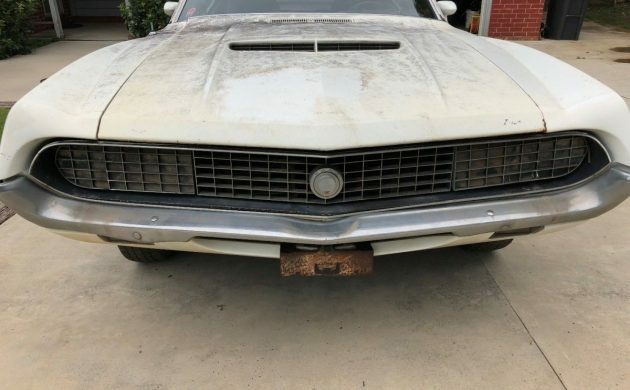 Equally I wish that Ford had imported a car like this Torino into Australia, if for no other reason than we never received a car with this many cubic inches under the hood. This one is for sale here on eBay. 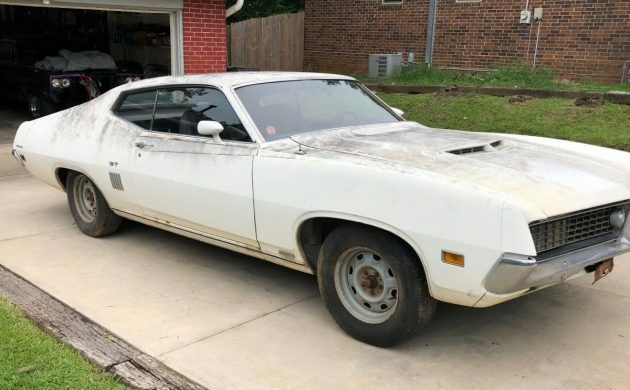 Located in Augusta, Georgia, this Torino is for sale with a clear title. With six days remaining bidding is at $3,050 but the reserve hasn’t been met. This is a project car for sure. It really does need work, and there are some rust issues that will need to be addressed. The seller is very candid about this. There is rust that will require repair or replacement work in a number of areas including the driver’s floor pan that will need replacing. The filler panel between the back glass and the trunk lid could be repaired, but the seller recommends that it also be replaced. Other areas that require repair include the middle hood brace (but the hood is okay), the top of the tail light panel, and small areas under the battery tray and a small area in one of the lower rear quarter panels. The Marti Report verifies that this car is 1 of 1, but you’d need to have a look at that to verify whether that unique claim is something that adds value to the car or is not significant. There is a copy of the report in the eBay ad. 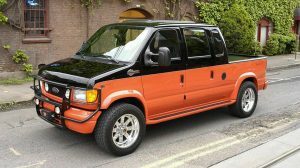 The interior of this Ford is a real mixed bag. The seller says that he feels that the interior needs replacing, but I think that some of it could be easily salvaged. 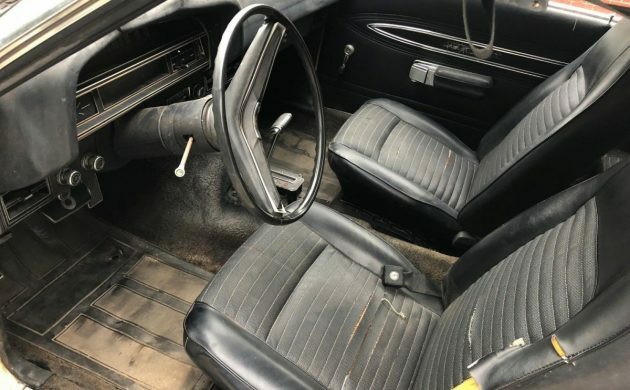 The dash pad and carpets are certainly due for a visit to the nearest garbage skip, but I think that new covers would address the main issues with the front seats. The door cards look quite good as does the rear seat. The car came with a console, but this was broken when a passenger decided to use it as a third seat some years ago. There’s no substitute for cubic inches, and this GT has them in abundance. To quote that often used phrase, this ran when parked. However, the motor hasn’t been started since 1994. This may not be an issue, but it may also be one that knocks a fair hole in your wallet. 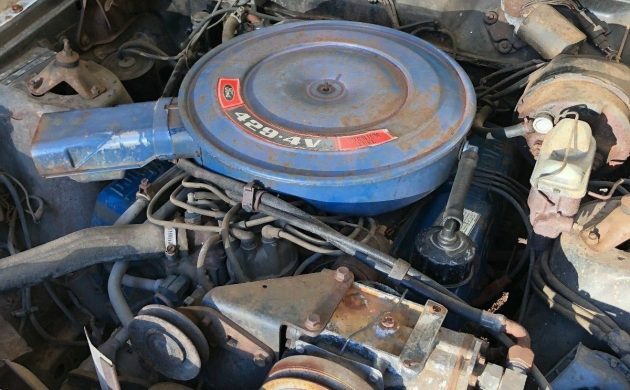 The seller states that the engine has never been out of the car and that it is a numbers matching car. That 429-4V is backed by a C6 transmission, and it could be a bonus for the new owner that this car was ordered with air con. 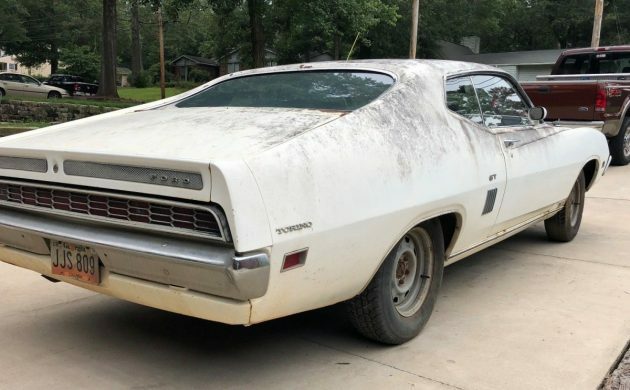 Looking around the internet doesn’t reveal many Torino GTs for sale at present. I did find a nice matching numbers car for sale with the 429-4V but backed by a 4 speed. The asking price on that was $30,000. If the reserve on this one is not too high then it could be a project that makes sound economic sense. 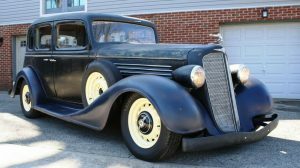 If the rust issues are addressed and the drive-train doesn’t consume too much money, then the new owner could finish up with quite a nice car. But I still have to ask Ford this question: Why didn’t we get an engine like this in Australia? You did get the 351 Cleveland for a longer time than we did. It was replaced by the 351 modified, which was just about the most smog choked engine ever made. I think they made about 150 horsepower. The seller removed the listing on Ebay. Oh yeah, gotta get that 429 back to life again. This is pre smog and pre lowering compression. You go, new owner! 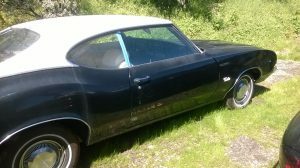 I had a 1970 Torino GT with a 351 and it happened to be a 1 of 1. It was a great driver somewhere between a number 2 & 3 and I couldn’t get $8k. I traded it in a multicar trade but have been regretting ever since. Pretty much checks all the boxes for me. Were you able to grab it before the seller removed it from EBay? I worked for the Ford dealership summer of ’70 as a tech while in high school when these came out. Always loved this body/drive package. It was my job to prep the new cars before sales , including the road test!! The polyglass tires of the day were NO match for the Monster torque these cars packed!! I had to make sure I didn’t leave too much rubber on the rear fenders!! Needed sway bars on both ends to help with the body roll and handling. Good luck to the new owner. Great car, one of many Ford’s I drool over, if and when I ever see one. Take it this is the Thunder jet version of the 429, not a cobra jet or rare super cobra jet which really turned up the wick, but I hope whoever bought this makes it special. Troy Leming on Facebook has about 4 or 5 1970/71 2 door Torino’s for sale.